Making money from your website or blog is one the main objectives for many webmasters. Whether you run a blog or a business website, monetizing your site to make some extra money can be very beneficial for your business. There are many ways to make money from your website. In addition to advertising networks that let you earn money by displaying ads on your site, there are other effective ways to make money by monetizing content. Website owners and bloggers have been successfully monetizing content to generate revenue for quite some time. However, in spite of the many monetization options, it’s not always easy for publishers to make money online. Competition among publishers is fierce and website owners need to be savvy and come up with new ways to generate revenue. In this post we will take a look at some of innovative and effective methods to monetize your content. Here are 5 new monetization services to make money from your content you may not know about. Publishing your content on Amazon Kindle’s new blog publishing platform is a great way to make money from your blog. This is particularly beneficial if you already have a blog. All you need to do is add it to Kindle’s publishing platform and start making money from your existing content. This facility is currently available only to UK and US residents only. Although you will only get 30 percent share of total revenue generated, it can still be good source of added revenue for your blog content. Taggstar is a free widget that makes the images on your site interactive, engaging and social. It aims to give publishers a new way of monetizing images by adding layers of content to make them interactive and shareable. It brings your images to life whilst offering the potential to generate revenue. It’s unique ‘Shop the image’ feature turns pictures on your website into a shopping experience so you can earn from them. The NimbleNetwork claims to be the first ever peer to peer deal sharing network. It allows you to make money by providing targeted offers, solutions and products that publishers can give their audiences. It is a premium transactional offers network which connects local and national advertisers to consumers through a network of publishers. It allows publishers to share deals. Virurl allows you to make money by monetizing your content. They are not displayed as typical ads so users are more likely to click and ensures a higher click through. There are two ways to earn money, by displaying a widget on your website or blog content as well as by monetizing your social stream. You can get started and earn money by installing the content discovery widget on your website and sharing links on social platforms. 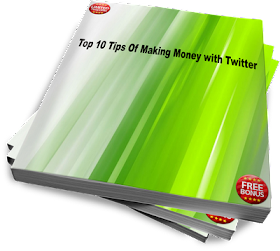 This allows you to maximize your potential revenues as it extends your reach to a larger audience. WebAnswers is a unique AdSense revenue-sharing Question and Answer site where you can get paid to answer questions. Its simplicity and earning potential really make it a great site. There are two main ways to earn money on this site. 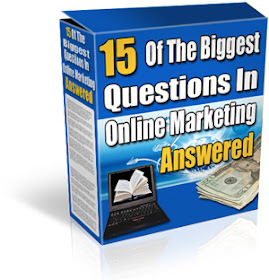 You earn ongoing advertising royalties on all questions awarded to your account via “Best Answer”. Additionally, you have the opportunity to earn a share of revenue generated by displaying advertisements on your behalf on other areas of the site. Your share is calculated via a proprietary formula used on this site. The more value you provide, the higher will be your revenue potential. Monetizing content is one of the most effective ways to earn revenue from a website or blog. Discussed above are five relatively new monetization services that you may not know about. If used correctly, they can prove very effective for generating extra revenue from your website. Did you know that many people are earning $250 to $750 per a minute of their time simply recording their voice on a computer? Come and see how 1,000's of individuals like YOU are earning their LIVING from home and are living their dreams right NOW. 1. $0.001 - $0.02 per click. 3. Revisit every 24 hours.